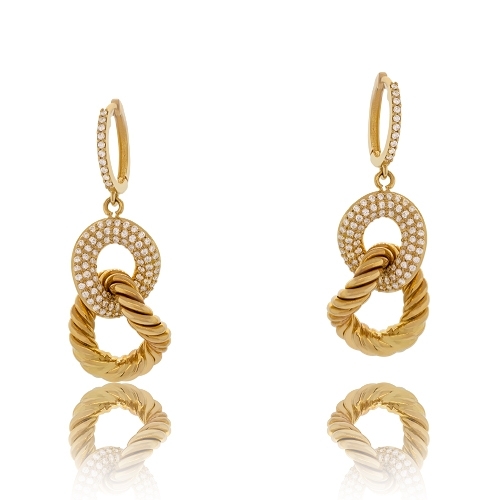 Diamond & 18k yellow gold roped link dangle earrings. Diamonds approx. .88ct. Earrings 1.5"